This is the second time I donated with Bitcoin. 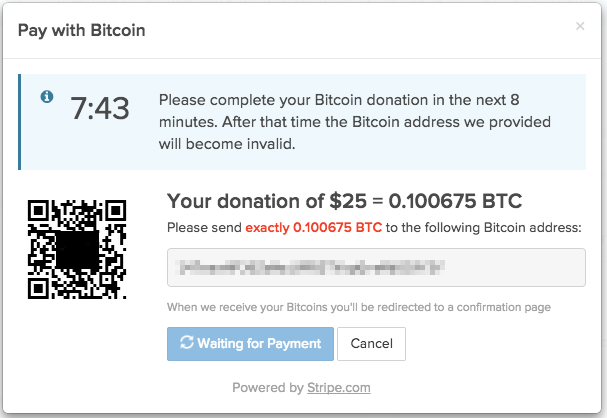 With the ease of QR code and instant Bitcoin transaction, I could donate with confidence and it was a fun experience. I found about HandUp.org through an online article1, and I loved the idea. I commute to San Francisco, and I see many homeless people living in harsh conditions. I also volunteered several times to serve basic needs for those who are struggling2. To start, I wanted to make a small donation immediately. HandUp.org enables us to make donations to specific people raising money for specific goals from the basic needs to education to get back to work. They make sure the money donated is used for the specific purpose. Since I did not have particular person to help in my mind this time, I chose to donate to so-called "The National Fund" that will go to those with the most urgent needs. 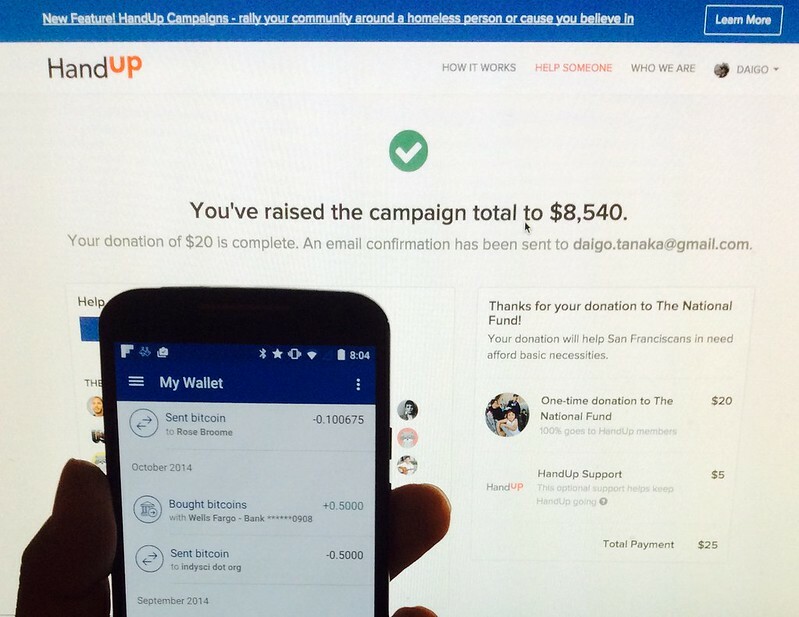 I have Coinbase app installed on my smartphone, and just by scanning the code, the donation was sent, and instantaneously reflected on HandUp.org page. This is the second time I donated with Bitcoin. With the ease of QR code and instant Bitcoin transaction, I could donate with confidence and it was a fun experience5. If you would like to try out Bitcoin donation yourself, you can create a Bitcoin wallet for free at coinbase, and buy any amount of Bitcoin, even a tiny fraction of a Bitcoin, and store it securely there.